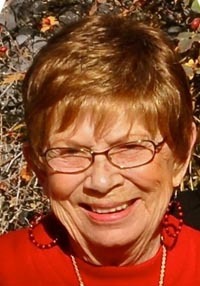 Marvel Edholm McGehee died peacefully after a brief but courageous battle with cancer in her home on March 15, 2013, in Twin Falls, Idaho. Marvel was born in Gooding, Idaho, on June 9, 1941. She was the youngest of three daughters of Ted and Mary Edholm. She graduated from Gooding High School in 1959. From an early age, she enjoyed being outdoors riding horses and spending time with friends. She attended business school and worked until 2007 as an administrative assistant for various real estate firms. She married her soulmate, Kyle McGehee, on Aug. 8, 1971. Together they enjoyed hunting, fishing, camping, traveling and spending time with family and friends. They enjoyed 37 wonderful years of marriage until she tragically lost Kyle in an accident in 2008. Two years after his death, she returned to her childhood love of horses by volunteering at Rising Stars Therapeutic Riding Center in Twin Falls. The children she helped and the amazing staff embraced her. They became her second family and were a constant joy the last two years of her life. Marvel is survived by her two children, Casey McGehee of Bellevue, Idaho, and Kim (Bill) Babcock of The Woodlands, Texas; her stepdaughter, Sophronia (J.D.) Pruett of Bliss, Idaho; and three grandchildren, Jordan and Isaac Babcock and Skye McGehee. Also surviving her are two sisters, Shirley Jones of Meridian, Idaho, and Jane Bahr of Boise, Idaho. She was preceded in death by her husband, Kyle, and both her parents. A celebration of Marvel’s life will be held at 11 a.m. on April 6 at the Episcopal Church of the Ascension, 371 Eastland Dr. N. in Twin Falls. Cremation services are under the direction of Heidi Heil of Serenity Funeral Chapel & Life Celebration Center, Twin Falls.